Trivandrum 21 November 2017: 40 years of acting career of Malayalam character artist Nedumudi Venu will be held at 26th November 2017 at Trivandrum. The programme organised by the friends of the actor is named " Nadanam Venulayam" and will be held at Nishagandhi auditorium at 6 pm. The stage show is directed by TK Rajeevkumar and assisted by GS Vijayan. The music section will be handled by music directors Bijibal, M Jayachandran, Deepak Dev and Ramesh Narayanan. Dance performance by Vineeth, Anu Sithara, Ansiba, Aparna Balamurali will be the highlight of the event. 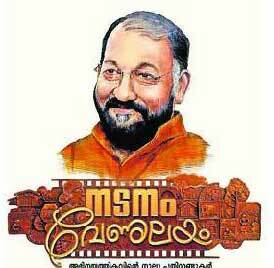 The show is organised in association with Trivandrum film fraternity and Vayalar Ramavarma samskarika vedhi.